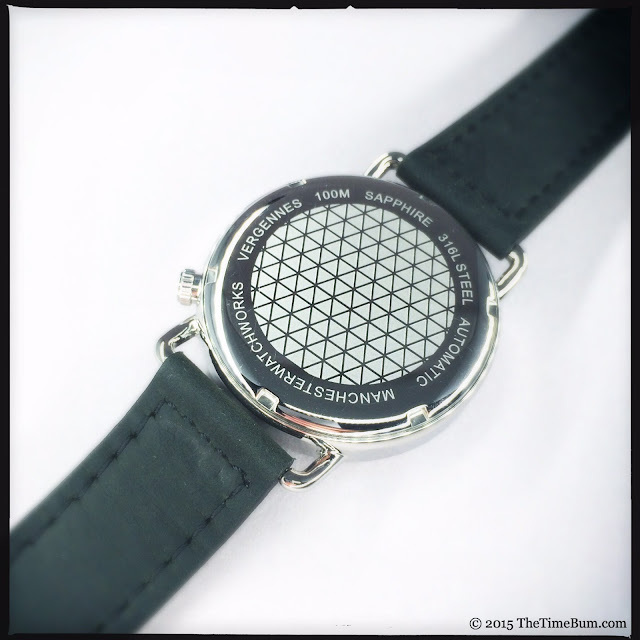 In my review of the Manchester Watch Works Tatoskok*, I promised I would soon review the newest MWW venture. Well, you didn't have to wait long. Not three days later, I received two prototypes for evaluation, the black dial Westminster and the white dial Vergennes. Both are available for pre-order on Kickstarter right now, and I highly recommend that you check them out. 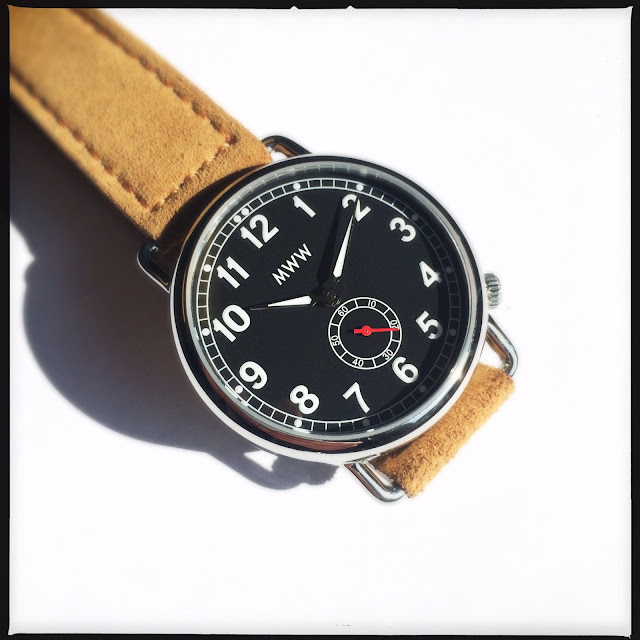 The watches were inspired by World War One trench watches and are rather traditional, particularly when compared to MWW's previous designs, so it is appropriate that they were named after the two oldest chartered towns in the company's home state of Vermont. You've seen this concept on these pages before. Helgray did a very nice modern spin on the wire lug field watch, using a 42mm case and Ronda quartz movements. The Doughboy Watch Company kicks it old school - really old school - by converting vintage pocket watches to wristlets by welding wire lugs to the cases in the correct turn-of-the-century fashion. MWW has taken its own path, creating its own, unique case design, scaling down the concept to a mid-size case, and drafting a pair of neat, simple designs that draw heavily upon classic, handheld timepieces. The 316L stainless steel case is 40mm wide and about 11mm thick. It has a polished finish, and while it was clearly inspired by trench watches, it does not attempt to replicate that look. The bezel and back have radiused edges, and the crystal is slightly domed, but the sides have no curve at all. The lugs are slightly longer and thicker than you might expect for this style, presenting a more pleasing proportion to the case than the typically undersized wires. A signed, coin edged crown at 4 o'clock completes the update. The overall effect is clean and contemporary, although still firmly rooted in tradition. The movement is a Miyota 8245 automatic, a sturdy, reliable, 21 jewel unit with a small seconds counter, oscillating at 21.6k bph. Normally, this movement has the small seconds offset in the lower right quadrant of the dial, but here it has been rotated to place the seconds at 6 and the crown at 4 o'clock. This is not a common configuration for a wire lug style, but it works well and allows a larger crown than a 3 o'clock position would. Trench watches no doubt endured some harsh conditions, but they were not prepared for them in the way we would expect of a modern watch. These pre-war pieces had conventional glass and no water resistance of which to speak. The Westminster and Vergennes are better equipped, wearing sapphire crystals and boasting 100 meters water resistance thanks to a screw-down crown and case back. 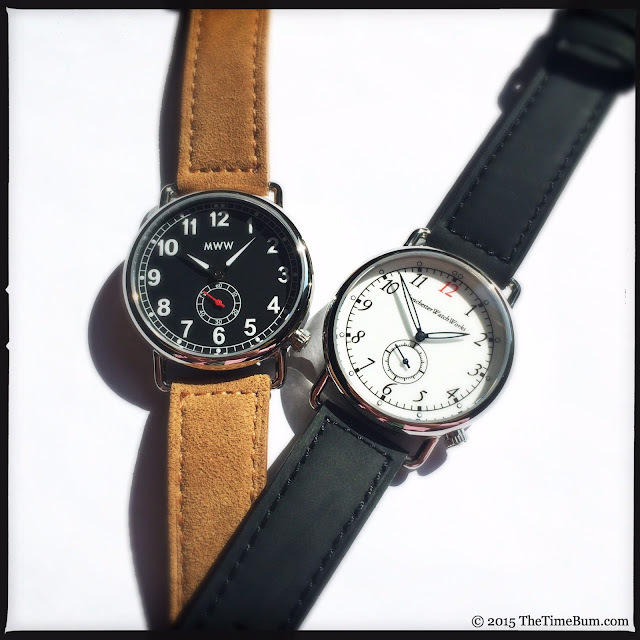 You may order your watch in black or white, but the two dials have very different personalities. The black dialed Westminster is the military of the two. Pocket watch inspiration is apparent in the large Arabic numbers and railroad index, but the dart shaped hands and blood red second hand update the look. The "MWW" logo is the only text, and while I often rail against the ubiquitous sans-serif font used by so many micro brands, I must admit that it makes sense on this watch, tying in nicely with the numerals and fitting the no-nonsense aesthetic. At night, the dial pops to life with a vivid SuperLuminova glow, C1 for the markers and BGW9 for the hands. 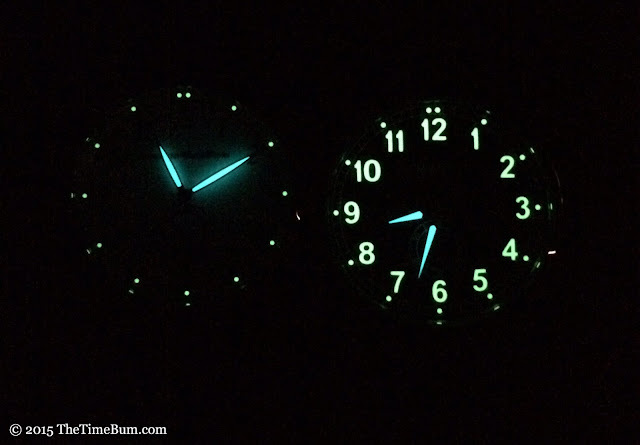 My only criticism is that the black hands are nearly invisible against the black dial so all you see is the white lume fill, making the hands appear shorter than they really are. Even though the white dialed Vergennes shares the same layout, it is completely different. Manchester Watch Works is spelled out in its entirety and rendered in a an italicized, serif font, as are the numerals. An open index is set farther from the perimeter than that of the Westminster, and it is marked with C1 pips. The dark blue feulle hands (I know they look black in my pics, but trust me) are filled with BWG9 are lighter but more prominent than those of the Westminster. The small seconds hand is a simple black baton. A red 12 provides the splash of color. 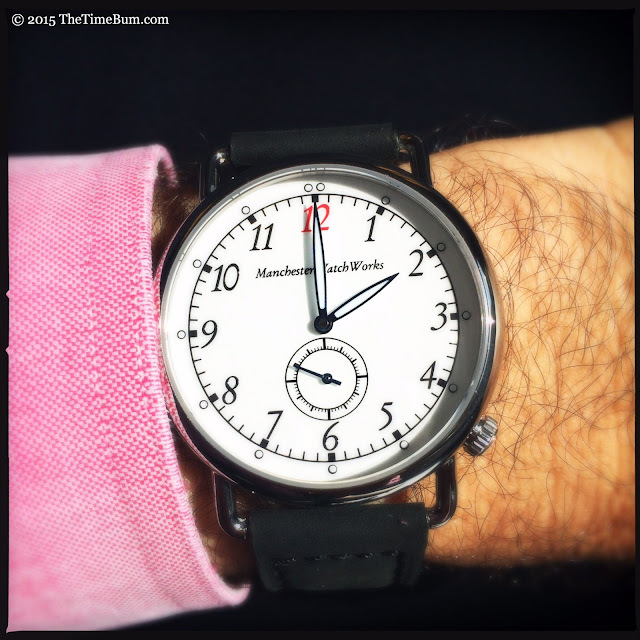 On the wrist, the Vergennes and Westminster wear exactly as you would expect of a 40mm case. They fit neatly on my 6.5" wrist and slide under a shirt cuff without fuss. 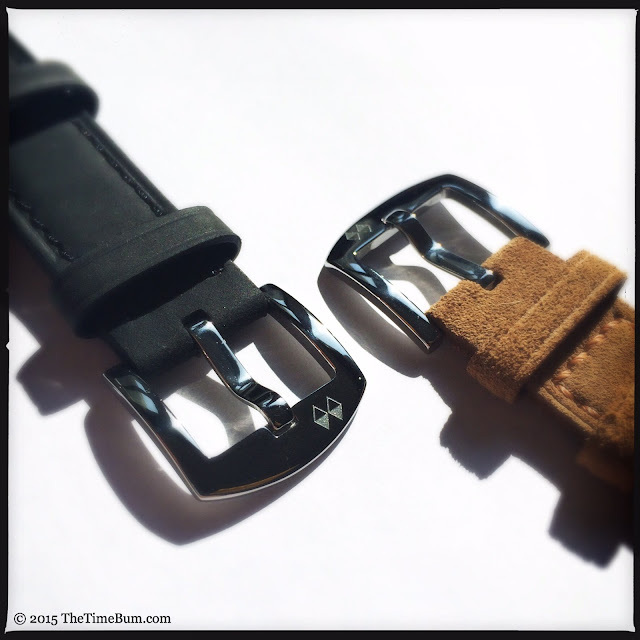 The 20mm leather straps are of good quality and are provided with signed buckles. Both watches looked perfectly appropriate with a suit and tie, but their different personalities each tilt to a different style. The Westminster would be a great match for jeans on the weekend while the Vergennes could step up as a more formal dress watch. Whichever you choose, you will be getting an extremely versatile watch. Indeed, this is one of the very few watches I would recommend as suitable for nearly every event - and if you follow this blog, you know that is rare praise. 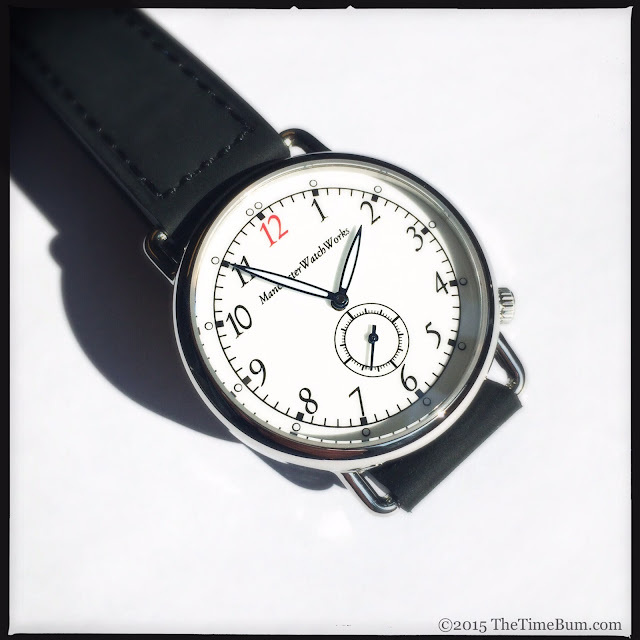 Retail price for the Westminster and Vergennes will be $319 each, which is a pretty darn good deal, but Kickstarter backers can snag their choice for as little as $169 and that is simply outstanding. We are talking about a quality automatic with a unique case and dial design, a sapphire crystal, and 100m water resistance for the price of a fashion brand at your local mall that has maybe 30m water resistance, a mineral crystal, and who-knows-what kind of quartz mystery movement. I'd say that's a pretty easy call. Pro: Attractive and highly versatile. Con: Westminster hands can appear short. Sum: A fantastic deal. The Time Bum approves. 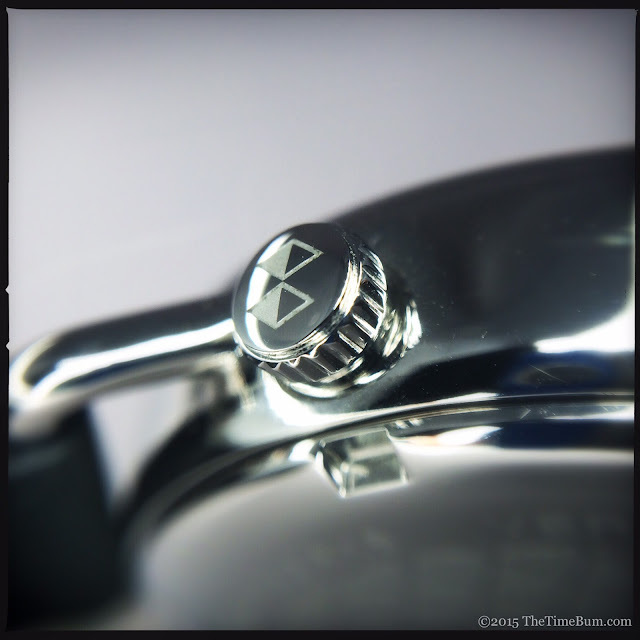 *You can choose a rewards package that includes one of the final Tatoskok dive watches, another fine offering from MWW that I reviewed here, and incidently, wore all day today. The more I wear this watch, the more I like it.